Buying a home can be a complicated process and not one you want to take lightly when you are finished, you will have to live with your decision for a very long time. It is also more difficult to qualify for a mortgage loan in today’s market than it has been in the past. New regulations that have been set in place since the housing crisis require lenders to verify every aspect of the borrower’s finances before they can approve the loan. This is why you need to be thoroughly prepared before you contact a lender. You should have your budget worked out, along with how much you can afford for a monthly mortgage payment, long before you sit down and start talking with the bank. Add all of these expenses together, and you will have your total monthly living expenses, not including your housing expense. Next, subtract all of your living expenses from your take-home pay. This is the amount left over, from your paycheck, after taxes and other payroll deductions. You want to use the amount you have available to spend out of every paycheck for your budget. The amount you have left over, after subtracting all your debts from your income is what you have available to spend on your monthly mortgage payment. However, you still want to keep some money for emergencies or anything else that may pop up. So you will want your mortgage payment to be below this amount, as much as possible. It is possible to be approved for a mortgage that is too large for you to handle. It often happens, as evidenced by the number of home foreclosures in the United States. This is why it’s so important to carefully create a realistic budget before you begin dealing with lenders. I can’t stress enough, just how important creating a budget within your means is to get a mortgage you can live with. Hold off on additional financing plans – Wait to apply for additional financing until after you close on your home. This includes auto loans, personal loans and any other items you were thinking about financing. You could end up having a problem trying to get your home financed if you are over-extended with other forms of debt. Limit credit card usage – Keep credit cards balances below 30% of credit limit. You will want to keep your balances as low as possible. Racking up charges on your credit cards will add to your debt and show up on your credit report. Pay bills on time – Make sure all of the bills you owe are current and paid on time. When lenders run your credit report, a single missed bill could harm your chances of getting your mortgage. Save as much money as possible – Start saving early and save as much as possible. The more, the better. You will need to save money for your down payment, your closing costs and even need additional cash reserves. Banks love to see cash reserves. You may also need funds for furnishings, improvements, etc. Don’t make any career changes – It’s not a good idea to switch jobs or make waves with your employment while applying for a home mortgage. The exception to this rule will be if you have the opportunity to significantly increase your income, which will improve your chances of obtaining the loan. The exception to this rule will be if it’s the same type of work, with the same amount of money or more, with a min amount of days off between career changes. The ability to modify your home – Unlike renting, you can make modifications to your home, making it suit your needs and wants. You can renovate, remodel or expand your home to fit your needs and taste. Stable housing costs – Your mortgage payment will remain the same for the life of the loan with a fixed-rate mortgage. You won’t have to worry about your monthly payments increasing every year. As time goes on, and your income, possibly increases with each year, your monthly mortgage payment will become increasingly more affordable. This gives you the opportunity to pay down the principal quicker, which will raise your credit score and relieve the cost of a monthly mortgage payment. 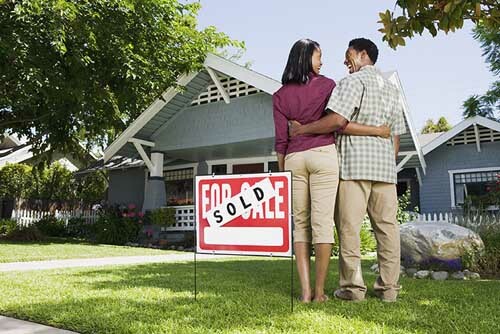 Building equity in your home – Building the equity in your home has several benefits. You can use your home’s equity to take out a line of credit for home improvements, pay down current debt or obtain a loan for any other financial goal. Something to show for your monthly payments – Unlike renters, you will have a tangible asset to show for the monthly payments you make. In comparison, renters make monthly for the same amount and then walk away with nothing if they decide to move. Your home will increase in value – The value of a home depends on several different factors. Your home is an investment and will increase in value. If you do choose to sell it in the future, you can make a profit to put toward another home or some other financial goal. Tax deductions – Homeowners can qualify for several different tax deductions, it’s a good idea to talk with your tax advisor, so you can find out what your qualifications will be.